Busted! Jesse “Street Angel” Sanchez, aka Shiraz Thunderbird, gets pinched and must do a stretch in Angel City’s infamous juvenile corrections center, Alcatraz, Jr. For the Deadliest Girl Alive, three squares a day and a warm, dry bed ain’t all bad. Jesse meets a girl gang, besties a superhero sidekick, pushes the lunch lady to the limit, and watches Harriet the Spy! 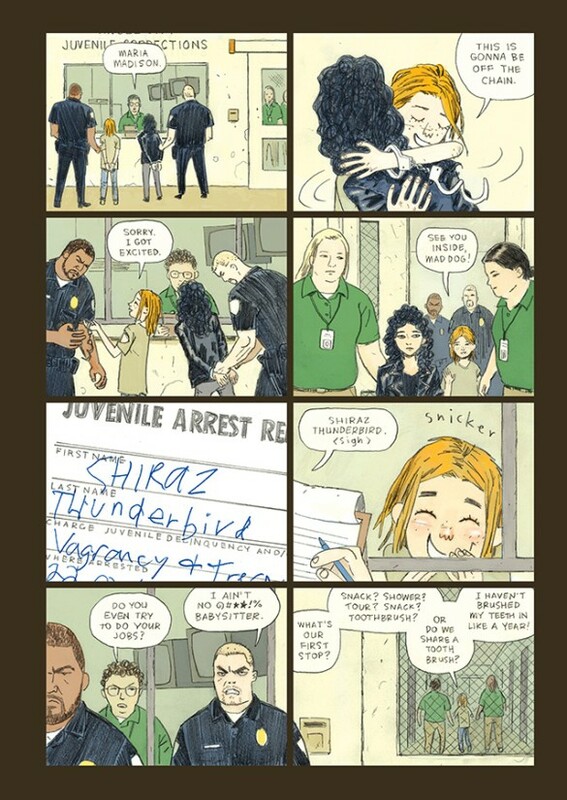 Will juvie break our hero, or will “Shiraz Thunderbird” break OUT of Alcatraz, Jr.? STREET ANGEL GOES TO JUVIE releases alongside the Free Comic Book Day title: STREET ANGEL’S DOG!